The late Dr. Batmanghelidj deserves tremendous credit for his pioneering work on the healing power of water. 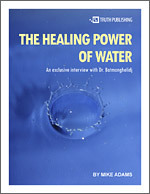 This exclusive interview with Dr. B reveals how Dr. B. discovered the healing ability of water and pioneered the emerging field of hydro-health. If you're new to the idea of healing with water, this is a must read report that will forever change the way you think about H2O. Why most people are chronically dehydrated and suffer from symptoms of dehydration that are labeled "diseases." Why and how water effectively treats pain and inflammation. Dr. B's thoughts on other health issues like AIDS, Big Pharma and cholesterol. Why popular beverages are no substitute for water. The true cause of asthma and why antihistamines only conceal the symptoms of the disease rather than treating its cause. How water effectively reverses hypertension. Why your thirst perception is NOT a reliable indicator of your body's need for water. Why soft drinks are dangerous for your health and actually dehydrate you. Enter your email address on the right for a FREE instant download. YES! Please email me the download link to The Healing Power of Water. I understand this report is FREE and that I will also be subscribed to the NaturalNews email newsletter. Please enter the numbers you see above to verify your subscription. "I absolutely guarantee you'll love the information you learn as a NaturalNews natural health newsletter subscriber. If you don't like it for any reason, you can unsubscribe at any time. Plus, your privacy is 100% protected. We don't send spam, and we don't sell emails to anyone. Subscribe with confidence." "Your newsletter has provided me with education, humor, and the courage to step away from the established medical assumptions which have actually been making me worse all these years." "Mike you are a true American hero. All of us are lucky to have you out there not only fighting for our rights but protecting us, informing us, educating us and making it a better place to live." "Mike Adams has brought his towering intellect and uncompromising integrity to bear in this truly important work." "Your newsletter is even better than books I've paid for!" "I'm learning something new every day!" "I can't thank you enough for sharing this for free. It's been a godsend..."
"Every day, I forward the NaturalNews Insider to probably five friends, and they love it!" "... I'm losing weight and my blood glucose level has dropped fast. Thank you for your articles on diabetes..."
"I'm so glad I found this. You guys should be on national TV with this..."
"... there's at least one really good article for me to read every day, and I read it and follow it." "I'm still not sure why you don't charge $79 a year for this like all the other health newsletters..."
"Just wanted to say thank you from the bottom of my heart. You have a special place in my prayers for your gift of this newsletter." "I take my hat off to this man for having the guts & energy (this takes plenty!) to stand up for all this insanity that goes on." "As a nutritionist and naturopath, I love your website. 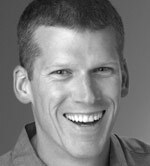 Mike Adams is spot on with the column about food and cancer." "I credit huge amounts to NaturalNews, which has provided me with education, humor, and courage to step away from the established medical assumptions which have actually been making me worse all these years." "I am writing to tell you how much I appreciate your newsletter. I am an RN case manager and I regularly share the information I learn from your site with my patients. Thank you for doing such fine work." "Your site is so interesting! I love what you have to say in every area. The articles on the real estate bubble are very clear and, I believe, right on target (thank goodness I own my house free and clear and don't have a second one). Your nutrition stuff is always excellent too, and the political stuff is so fun and right on "target". Keep up the great work!" "Thank you for all the time and effort that's gone into the CWRC and NaturalNews sites, I've spent the last two weeks or so plowing through them, and have come out the other side much more educated, and motivated to start paying a lot more attention to my own health." "I just completed your survey, and am taking the opportunity to let you know how much I appreciate your newsletter. Keep up your good work, you are on the right track." "Outstanding work! It has helped me to organize my confused ideas about many health topics, such as diabetes and high blood pressure. Doctors I have visited do not like to spend the time educating you. I have only learned through your many written articles. I copy them to my Word files for future reference and study. Congratulations and thanks for your help!" "Thanks for all the wonderful information which I constantly receive. I am so sated with knowledge at the moment, I am euphoric." "I subscribe to your newsletter and forward them to friends and family. I'm always thankful for reading anything that is written in the best interest of people as opposed to big companies." This site is part of the NaturalNews Network © 2004, 2005, 2006, 2007 All Rights Reserved. Privacy | Terms All content posted on this site is commentary or opinion and is protected under Free Speech. Truth Publishing International, LTD. has full ownership of and takes sole responsibility for all content. Truth Publishing sells no health or nutritional products and earns no money from health product manufacturers or promoters. The information on this site is provided for educational and entertainment purposes only. It is not intended as a substitute for professional advice of any kind. Truth Publishing assumes no responsibility for the use or misuse of this material. Your use of this website indicates your agreement to these terms and those published here. All trademarks, registered trademarks and servicemarks mentioned on this site are the property of their respective owners.